Ruderfer & Associates, Inc. is a Nationwide Healthcare Search Consulting firm, specializing in the Pharmaceutical, Medical Devices, Biotechnology and Allied Health Industries including Medical Advertising Agencies, Medical Education Services and Market Research Supply Houses. Ruderfer & Associates maintains offices in Verona, New Jersey and is able to source all disciplines including: executive management, physicians, regulatory affairs, quality, legal, marketing, business development, sales/account management, marketing research, project management, medical education, e-business, technical/medical writers and editors and finance. All of our recruiters are alumni of the healthcare industry and are experienced and sensitive to our clients' needs. The matching of the company and the person is our constant goal and we excel in sourcing for our clients' specifications, qualified candidates whose "personality/chemistry" and "education/experience” are on target. Our professional consultants are supported in their efforts by a dedicated research and administrative staff. Irwin A. Ruderfer, CPC has been in the pharmaceutical recruitment field for over forty years, where he has been privileged to assist many leading innovative and generic pharmaceutical, medical device and allied health companies in solving their personnel requirements. He is a graduate chemist and was employed in Drug Regulatory Affairs by a global ethical pharmaceutical firm. Due to the all-encompassing nature of that position from the technical work points and the interfacing with many levels of management, Irwin feels confident in his ability to analyze and judge the quality of our product at Ruderfer & Associates…People! 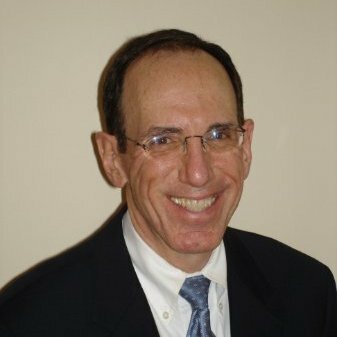 Richard Levy, MBA, is the most senior recruiter with Ruderfer & Associates, having over 20 years of recruiting experience. Rich’s prior work history includes over 25 years of financial management experience, ranging from Senior Accountant to Corporate Controller for publicly held companies such as Johnson & Johnson, Baxter International, Del Laboratories, Datascope Corp. and Ernst & Ernst. This work history has afforded him the ability to understand and relate to the most senior business executives. His recent projects have had a strong focus on technical (Clinical Research and Development, Pharmacovigilance, etc.) and Regulatory Affairs roles. He is a graduate of Northeastern University. Eric Rosenson, MBA, has over 20 years of packaged goods and pharmaceutical marketing, as well as business development experience at Forest Laboratories, Taro Pharmaceuticals, Wyeth Consumer Healthcare and Kraft/General Foods. Steven W. Bass, Ph.D. recently retired from BMS as Group Director, Global Labeling, Bristol-Myers Squibb. Dr. Bass provided regulatory advice and guidance for all FDA related labeling issues to the BMS Pharmaceutical Research Institute and the US Pharmaceutical Marketing Divisions. During his professional career Dr. Bass has had senior regulatory and clinical positions with a number of companies including, Pfizer Pharmaceuticals, Clinical Resources Inc. Fujisawa and Fujisawa SmithKline Corporation, Wyeth-Ayerst and Eastman Pharmaceuticals. He has both US and International Regulatory Experience. Dr. Bass is a great addition to the Ruderfer & Associates’ staff. Ruderfer & Associates differs from other agencies in our years of experience in the pharmaceutical/ consumer products industry, our size and our depth. Our size allows us to offer unique attributes bridging the best of the industry: unlike a larger shop, you get the strong focus of dedicated, experienced staff people; unlike other smaller agencies, we have the resources developed with our years of experience and a proprietary database of candidates to enable the search effort. Even with this resource, we will never present a resume to any company without the explicit approval of the candidate and an understanding from the company of the projects we have undertaken. That’s important to all concerned. Ruderfer & Associates, Inc. is a Nationwide Healthcare Search Consulting firm, specializing in the Pharmaceutical, Biotechnology, Medical Device and Allied Health Industries.